The time usually comes when those tiles are old and leaky and do nothing to make your home look good or keep its value. It is time for re-roofing but what material should you choose? Staying with tiles will eventually give you the same problem that makes your home look rather old and awful right now; namely, mould. This black growth over your roof is one of the major problems of tiles. It is hard to remove and often keeps coming back. This is because the roots penetrate into the tile and cannot be scrubbed away. After you have gone to the cost or time of having it all washed down and treated it will end up back on your roof as bad as ever. Tiles are not good for another reason. Because they are so small they need to have a lot of infrastructure underneath to support them. And because they are quite heavy it needs to be strong, so no cutting costs there. In addition, the very shape of tiles and the way they have to be aligned means that there are many niches in and around each one. In bushfire season, this allows red hot embers that are blown onto your roof to lodge there securely, thus your roof is most likely to catch on fire. Happily there is a great alternative to tiles. Steel roofing does not have any of the above problems. It is light and the sheets are large, so less infrastructure is needed and it is quick to erect. No mould can grow on it because it does not absorb moisture; the spores cannot get a hold in it. Steel roofing has clean lines with few niches so embers cannot lodge in it. In fact, it is the preferred roofing material in bushfire prone areas, since it actually protects the home to a great degree. 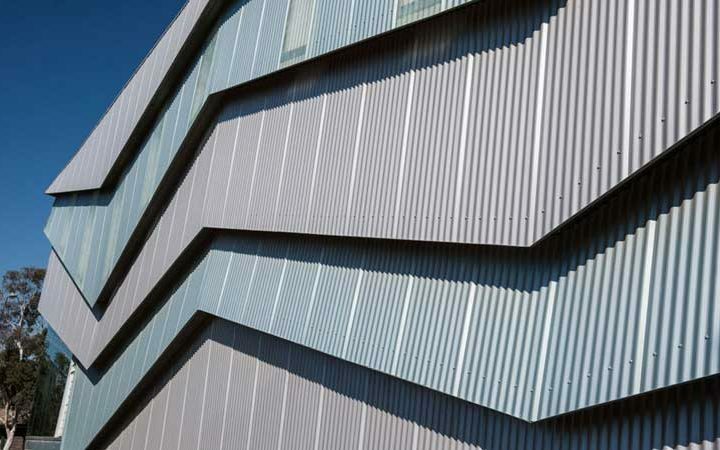 Steel roofing also comes in many different colours – far more than tiles – so you can choose one to suit your home, whether that is the colour of the walls or the style of architecture. Or you can choose a colour that blends in with the Australian environment, no matter where your home is located. The colours of Colorbond are specifically chosen from the different elements of our lovely country, be it sea spray, coastal grasses, rocky gullies or the amazing colours found in the outback. In addition, the colours have been baked on meaning they will last and they also reflect the heat so your steel roof will not make your home hotter as some people might think. Re-roofing your home with this material has so many advantages that you may be surprised. When a roof offers so many advantages it would be silly to pass it up.